On 15 October 2018, Automatic Data Processing, Inc. (NASDAQ: ADP) oscillated between $139.04 and $141.54 before concluding trading period lower/higher -0.33% at $140.25. The stock recorded total trading quantity of 1,306,517 shares as compared to its average volume of 1,827,463 shares. The firm has a total market worth of $1.83M and $61.351B shares remain outstanding. 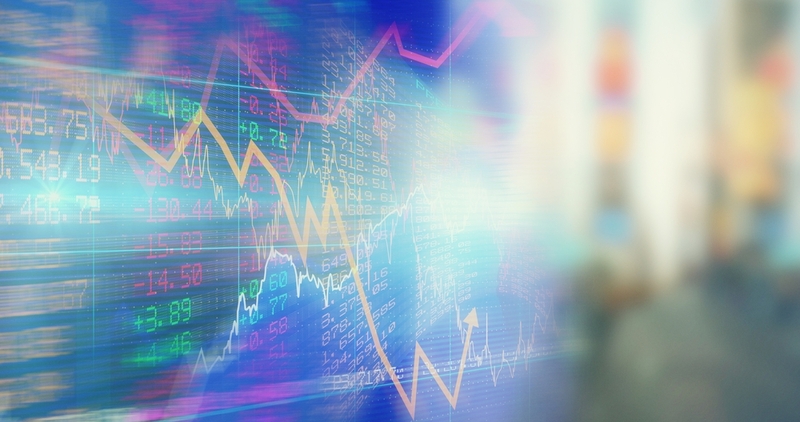 ADP® (ADP) recently reported its fourth quarter and fiscal 2018 financial results and provided its fiscal 2019 outlook. Contrast to last year’s fourth quarter, revenues grew 8% to $3.3B, 6% organic constant currency. Net earnings were ahead of Company expectations, but reduced 59% to $109M primarily Because of the impact of pre-tax charges of $365M related to the Company’s Voluntary Early Retirement Program and other transformation initiatives. Earnings before income taxes reduced 47% to $205M, and include the effects of the charges discussed above. Adjusted EBIT raised 31% to $576M. Adjusted EBIT margin raised about 300 basis points in the quarter to 17.3%, supported by benefits from operational efficiencies and transformation initiatives, offset in part by acquisition-related expenses. ADP’s effective tax rate for the quarter was 46.9%, and 28.7% on an adjusted basis. Diluted earnings per share reduced 58% to $0.25 and adjusted diluted earnings per share raised 39% to $0.92. For the year, revenues grew 8% to $13.3B, 6% organic constant currency. Net earnings were ahead of Company expectations but reduced 6% to $1.6B primarily Because of the impacts of fiscal 2018 pre-tax charges of $405M related to the Company’s Voluntary Early Retirement Program and other transformation initiatives, fiscal 2018 pre-tax charges of about $33M related to proxy contest matters, and a fiscal 2017 $205M pre-tax gain on the sale of our CHSA and COBRA businesses. Earnings before income taxes reduced 14% to $2.2B, and include the effects of the items discussed above. Adjusted EBIT raised 8% to $2.6B. Adjusted EBIT margin raised about 10 basis points to 19.8% and included about 30 basis points of pressure from acquisitions. Diluted earnings per share reduced to $3.66, or 5%. Adjusted diluted earnings per share raised to $4.35, representing growth of 18%, and benefited from fewer shares outstanding and a lower effective tax rate contrast to last year. Employer Services – Employer Services offers a comprehensive range of HCM and human resources outsourcing solutions. Employer Services revenues raised 7% contrast to last year’s fourth quarter, 4% organic constant currency. Revenues raised 5% for the fiscal year, 4% organic constant currency. Pays per control, the number of employees on ADP clients’ payrolls in the United States when measured on a same-store-sales basis for a subset of clients ranging from small to large businesses, raised 3.1% for the fourth quarter and 2.7% for the full year. Employer Services client revenue retention was down 120 basis points contrast to last year’s fourth quarter, in line with expectations, and up 50 basis points for the full year to 90.4%. Employer Services section margin raised 200 basis points contrast to last year’s fourth quarter, including about 50 basis points of pressure from acquisitions. For the full year, section margin raised 10 basis points, including 40 basis points of pressure from acquisitions. PEO Services – PEO Services provides comprehensive employment administration outsourcing solutions. PEO Services revenues raised 10% contrast to last year’s fourth quarter driven primarily by an 8% raise in average worksite employees for the quarter. For the full year, revenues raised 12%, driven by 9% growth in average worksite employees. Average worksite employees paid by PEO Services were about 523,000 for the fourth quarter and 504,000 for the full year. PEO Services section margin raised about 60 basis points contrast to last year’s fourth quarter, and raised about 10 basis points for the full year. Analyst recommendation for this stock stands at 2.50. Automatic Data Processing, Inc. provides business process outsourcing services worldwide. It operates through two sections, Employer Services and Professional Employer Organization (PEO) Services. The P/E ratio was recorded at 38.35.The volatility in the previous week has experienced by 3.30% and observed of 1.81% in the previous month.79.80% ownership is held by institutional investors while insiders hold ownership of 0.10%.